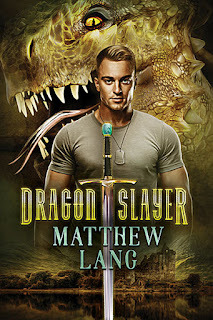 Today I welcome Matthew Lang to the blog to share new LGBT Fantasy story Dragonslayer. 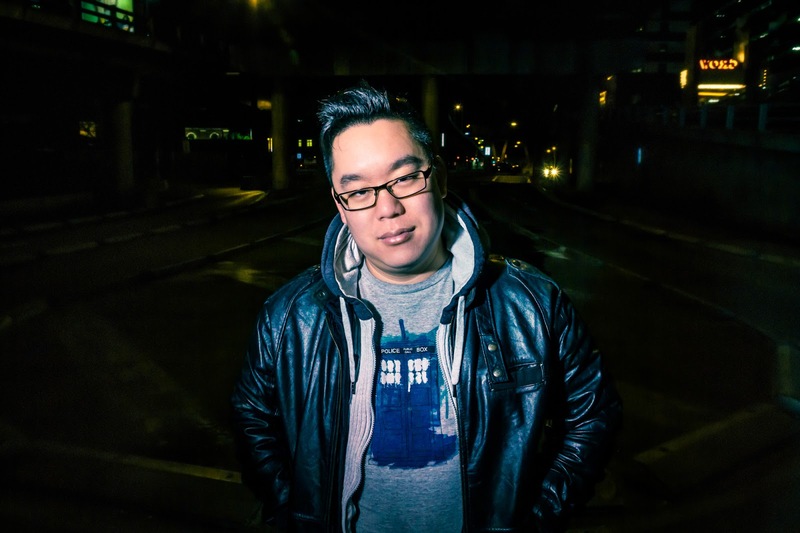 Read on to learn more about the book, and to read an exclusive short story! Prince Fernando stared, ahead, silently. They all did. The entire castle was gathered on the rooftop, watching in silence. At the edge of the roof, the offering was crying. There would be another empty bedroom in the family wing tonight. The air was cold and clammy. Tendrils of fog still obscured the marsh below. It was, of course, right and proper to give to Helene, she who crossed the sky to bring light, warmth and the fertility of spring so that their crops would grow and the people could eat. It was right and proper to offer to her and her holy beasts were no exception. Fernando was less sure that offerings were still offerings if given upon threat of death and destruction. There was another word for that: Tribute. All the people in the castle were on the roof now. To witness the ‘gifting’ of tribute. The entire town had turned out, as custom dictated, along with the outlying villages. They’d all come, waking before dawn or travelling in the previous evening to be here for the morning. No one missed tribute day. Or at least no one ever survived missing tribute day. The townsfolk and peasantry were lining the streets, standing on roofs or balconies, or simply standing on the shore of the marsh. He would come from the east, so the light of dawn was behind him. He always did. Fernando tried not to think about how this had already become a custom in the short time since…the event. Humans, it had been said by some wit, could get used to anything. People were already used to this. Bile rose in his throat and he swallowed it down. He could not afford to let anything show on his face. The edge of the roof bore heavy talon marks from the tributes that had been offered over the past years. Although…the years had been getting longer. Spring came when the priests of Helene said it was time to plough the fields. And they were always invariably right about it. But now, with Selune gone from the night skies it seemed that the seasons were all getting longer. Fernando had counted. Between the last tribute and this one, there had been an additional seventy-eight days than last year. Which had been fifty-one days longer than the year before that. Part of him wondered what it would mean if the seasons stopped. What if they got stuck in winter? Beside him, his wife stood in her regal finest. This was, after all, a formal occasion. Her dress of blue silk with silver embroidery had been a gift from Lord Soto when they had started fostering his daughter. Well, it was officially a gift. It too, might have been better described as tribute. Along with the fostering of Lord Soto’s daughter. It only got brought out once a year now. Abigail couldn’t bear to wear it any other time. It had been tainted by the memories. Fitting then, that it would be worn today. Between them, their young son stood, his face impassive and his brown eyes sad. Despite his young years he understood. All the children understood. He knew the…child. He’d grown up with her and they’d played together and Fernando was certain that his son also knew that they were the only two left. After today, there would only be one. Khaled didn’t need the tribute. Not strictly. He couldn’t possibly. There was no way a meal so small, at the start of each spring, was enough to sustain his bulk for the entire, lengthening year. Khaled hunted. Raided farmers outside the borders of Fernando’s lands, and fell upon those not under the ‘protection’ of another. Entire families would be gone after one of his meals. So no. He didn’t need the tribute to sustain him. Maybe it was the fear. Maybe he fed on that. Drunk up the emotion like a fine wine. Or maybe it was just about power. One child. Of the noblest birth. Every year. The beating of wings sounded in the air like the footfalls of giants, each beat oppressive and menacing. The buzz of life in the swamp ceased as they drew closer. The calls of the flitterfish, even the buzzing of insects. Everything that could was in hiding, Fernando thought bitterly. His knees ached from standing these past hours in the pre-dawn dark. The chill of the fog seeped into the stones of the castle and crept up through the soles of his boots and into his bones. Sometimes, he felt every one of his five decades pressing down on him. The glint of reddish dawn sunshine off golden scale had people squinting into the brightness as what was first a small speck grew into a squat form nearly as large as the keep. Idly, Fernando wondered, not for the first time, how a beast as large and bulky as Khaled was able to fly. It seemed so unlikely that batlike wings, even as wide as Khaled’s were, would be able to haul the reptilian bulk of him off the ground, let alone bear him through the air. The roof shook when Khaled landed, and High Priest Bakar tottered forward in his robes of white and yellow. He’d…officiated since High Priestess Zuri refused Khaled’s original request, and been incinerated for her insolence. The prayer was brief, and the child was anointed in holy oil before the High Priest retreated. Once it was all over, he would seal himself away in his quarters at the Temple of Helene down in the village, not seen again until next year. Fernando’s hand tightened around his son’s. He would have to ensure next year was different. Lidia Soto was still crying, of course. She didn’t scream or shout for help. She knew no help was coming. She’d known for a year that this day would be her last. She’d been listless and enervated for most of it, quite unlike the girl he’d raised. The one who’d woven daisies into his hair the week she’d arrived and captivated the heart of Princess Abigail, who doted on her like her own child. Mercifully, the act itself was quick. One moment the child stood, tied to a heavy iron ring on the parapet in a white dress. Then the fanged head of Khaled descended, forked tongue flicking out. And then the child was gone. The winged beast took off, the downdraft threatening to blow half the castle staff from the roof as he soared back off to wherever it was that he laired. Probably somewhere north towards the capital with his mate, Khalivibra. Stiffly, Fernando led his people off the roof and back into the stone walls of Blackwater Keep, still clutching the hand of his son. Next year would be different, he swore. It had to be. 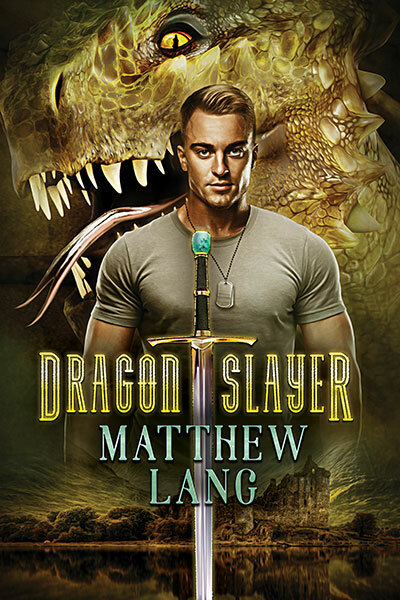 What you have just read is not an excerpt from Dragonslayer. It is a historical fragment; a glimpse into the history of the place where Dragonslayer happens. This is the land to which our reluctant hero is sent. This is the land he is asked to save. Eventually. A long time has passed since the events depicted here. By the time of Dragonslayer the world has changed drastically, and not necessarily for the better. Thank you for stopping by this third stop of my blog tour. I hope you enjoyed the bonus story, and Dragonslayer is officially out today(! 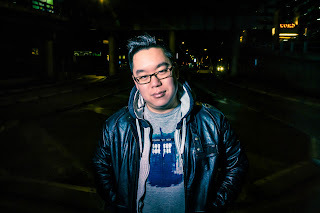 ), so you can go and read it right now if you like. 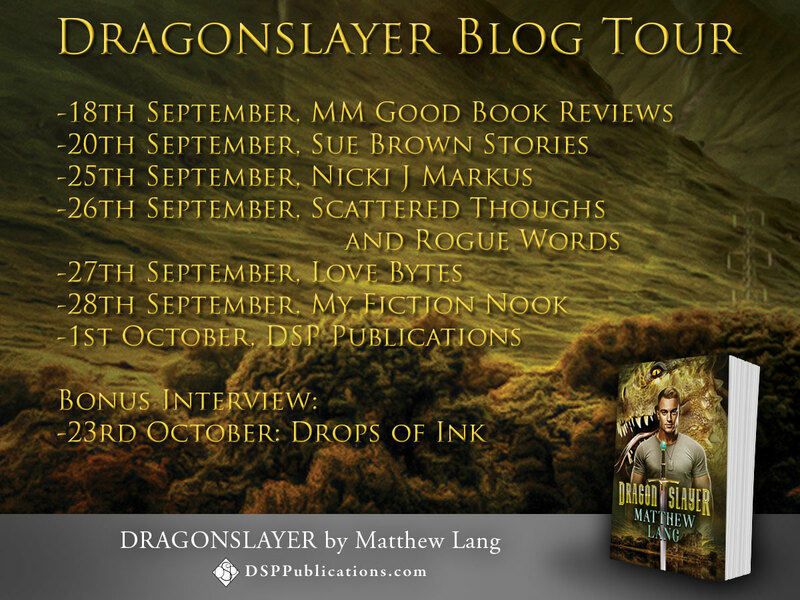 You can catch the next stop of the blog tour tomorrow, the 26th of September, over at Scattered Thoughts and Rogue Words. I hope to see you there.